The metropolitan life is becoming busier by the day. With smartphones being the fastest tool to get information then it can also be used to enhance the quality of life as well. 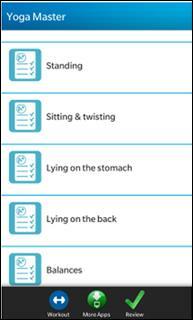 Here are selections of art of living apps from BlackBerry world that will help you calm and rejuvenate your senses. Enjoy the deep relaxation, stress relief and benefits of meditation without prior experience. 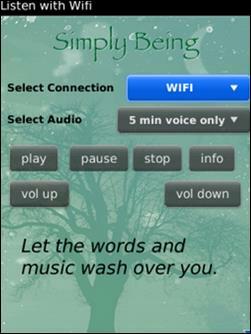 It allows you to choose from 4 meditation times and gives you to option to listen with or without music. Yoga Master is the world’s most dedicated yoga coaching App, providing dynamic yoga sessions with different durations & difficulty levels, elegant UI and instructions and more.